Terah did an amazing job yet again! I have to say watching Sara grow into herself and the character development that has taken place in this book was awesome to read. Sara is learning how to be a better friend and person, especially thanks to to Ezekiel. Sara may be the main character but personally I like Ezekiel better. :) I think that he is the perfect balance for Sara and in most cases the only voice of reason that she will listen to. 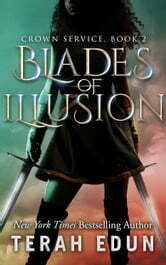 This book takes place exactly where Blades of Magic left off and the excitement doesn't stop. Can't wait for the next one to see what happens! I absolutely LOVED this book! Sara Fairchild deals some real damage and learns a very important lesson along the way in her mission to discover the truth behind what happened with her father, causing his execution. Wow wow wow!! Thank you Terah Edun! Been waiting for this book for a very long time! 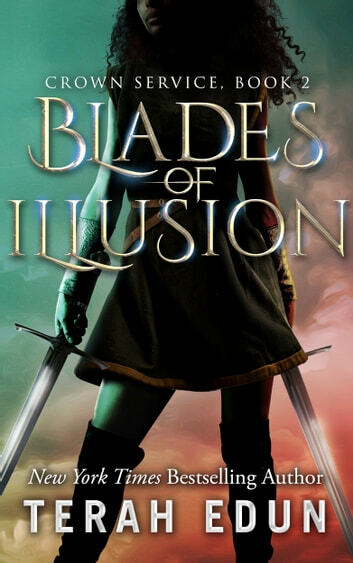 Read the first book Blades of Magic in a collection of fantasy authors about 3 or 4 years ago, as soon as I finished it (and it was the first book in the collection) I searched for the next book in the series as I loved it so much! Unfortunately the next one hadn’t been written yet so I read another series that Terah Edun had written (Courtlight - which is also amazing) to keep me going until the next book in the series was written. Finally I get chosen to be an ARC and I can truthfully and honestly say that this book did not disappoint. Sara Fairchild is the heroine that is tough, fierce and bound by honour searching for the truth behind her Fathers death with her wonderfully witty and intelligent friend Ezekiel who we see come more into his own and show that he’s not just the brains but can hold his own in a fight. The only problem with this book is that it’s left on another cliffhanger and i’m desperate to find out what happens to Sara and her band of allies? Not giving any spoilers away but Kades, band of allies, a villainous captain and a sun mage? What happens next????? Please don’t let it be too long before the next one as Sara is a heroine I can truly relate to and stand behind, as long as her magic doesn’t take over and send her Beserk!